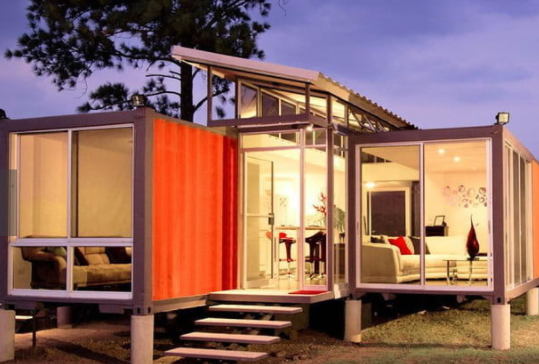 Home » Africa » Can a Converted Shipping Container Solve Some Housing Problems in Nigeria? Housing is a major problem in Africa, in particular, Nigeria. Housing is an essential requirement for a decent living but due to the prohibitive cost of Land and building in Nigeria, extremely poor government regulation and lack of Mortgage facilities, housing is considered a luxury, both to own or rent. The impact is enormous, people remain with parents much longer which leaves a psychological problem of a feeling of underachievement or people live in a cramp and overcrowded conditions. Nigeria is not a stranger to prefabricated buildings, many housing estates like the Dolphin Estate were built this way, but these possibilities have not been explored further and expand to make such technology a viable way of addressing housing problems. Another fast developing alternative to high building cost is the use or conversion of shipping containers into varieties of living spaces. Before you snarl at the idea of living in a container, take a tour of some extraordinary shipping container houses around the world, built at a fraction of the costs and serve exactly the same purpose. Adriance House was built by Architect Adam Kalkin, using 12 shipping containers arranged prefab in a larger structure to provide a luxury living space. Check out DIGITAL TRENDS for some amazing shipping container conversion (this is not a paid advert). The two buildings above represent high-end projects but they are chosen for this article to show the sophistication possible with a converted shipping container. The cost of converting a shipping container can be very minimal and can also be expensive depending on the specification of other material used in conjunction, and this solution will not address everyone’s problem in Nigeria, but people who often buy land and build on it over many years, sometimes never completed it because of lack of fund may find this solution very handy. Although this requires different specialities to erect to make it safe and habitable, conventional bricklayers would not be of use here, but a nation of over 160m should be capable of birthing possibly another industry here to cater for this type of housing.